Search engine optimization is increasingly recognized as a fundamental discipline in every sector, and can bring great results not only to large brands but also to small and medium-sized companies, eager to affirm and strengthen their visibility and online positioning. What is the identikit of the most “suitable” SME to benefit from SEO? What competitive advantages can this activity bring, with a view to a complete Web Marketing strategy? Here are nice smart advice. 1. Why should an SME invest in SEO? 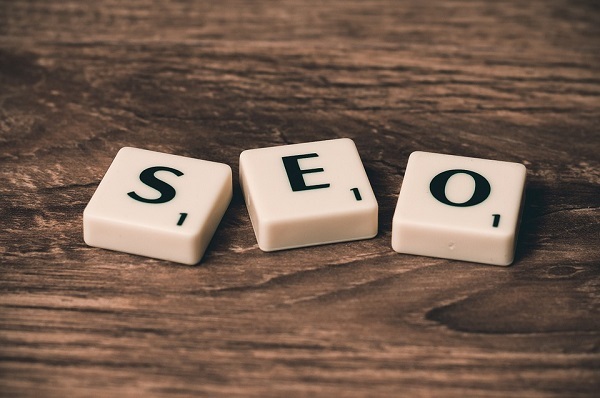 Is SEO essential for all SMEs? Certainly, there are many realities that have characteristics and objectives such that this discipline can bring enormous benefits. Without a doubt, it is common ground that SEO, compared to other digital channels, is the one with the highest ROI in the medium to long term. 2. Outsource or not outsource? Companies that invest a lot in SEO are often torn between the inclusion of a new resource and the search for an external agency. Relying on an agency means having a more varied and up-to-date experience in terms of creativity and strategic approach. Knowing your target in general is a cardinal principle of marketing. In SEO, it is important to know your user and his behavior while searching online where to buy those products and services that your company could offer. Only in this way, through a careful analysis of the keywords and of the fundamental topics, of the seasonality, frequency and geo-location, it is possible to make them orientate towards your site. Never assume that an SEO strategy (and a web marketing strategy, in general) will work equally for any type of business. If you manage an e-commerce, you will have to provide a series of ad hoc analyses and interventions. Like the creation of content at strategic points, and the management of critical issues such as the difficulty of indexing product data sheets on eCommerce many thousands of references. A perfect example is the click here button, where you invite the users to investigate more about your products or you channel them to purchase any of your services. Developing your own online business on foreign markets is an opportunity to be known on a global target. Don’t underestimate the concept that small companies cannot benefit from positioning on search engines. On the contrary, an extremely specific product or service will certainly have an interested target, to be hit by covering specific keywords all over the world, with smaller volumes compared to B2C areas but which represent much more relevant business opportunities. If your target audience is looking for the best face to face fundraising, for example, you should work to optimize your website content for those keywords and your link building campaign should be focused on those words and different variants of them. Small businesses and professionals linked to a local dimension can benefit from a good local positioning strategy. This means intercepting the needs of users looking for services and products in a limited area, with a high probability of being chosen if your website appears among the first results of the SERP (Search Engine Result Page). It is well known that web traffic is increasingly coming from mobile, compared to the desktop, and that sites with perfect responsive or native mobile versions are favored by search engines. This factor cannot be underestimated, especially as Google already announced its next mobile-first index, that is that the results of the mobile will have an indexing primacy over desktop ones. SEO is also important in those areas where image and storytelling are essential, like fashion or luxury, and can be declined in such a way as to respect all the necessary communication guidelines. Furthermore, it is possible to set up strategies dedicated to specific needs, such as indexing images, apps or product visibility in Amazon’s internal search engine. Sometimes the smallest realities, such as startups, have a young team and a great potential for innovation: SMEs are often faced with more traditional dynamics and difficulties in approaching the Digital world. For this reason, digital training courses for the company’s internal teams are important, not to make employees experts in the sector, but to provide the basic skills to choose and understand the work of digital service providers.